First up this week, while we waited for the others to arrive, was Toc Toc Woodman (aka Clack Clack Lumberjack). This Is a dexterity game that consists of a segmented plastic tree where the am of the game is to knock bits of bark off with an axe, while not removing the core segments. As the game progresses, the tree becomes increasingly unstable with the inevitable consequences… Honours were just about even when we were saved from a tie-breaker by the last of the late arrivals. Next we started our “Feature Game”, Keyflower. 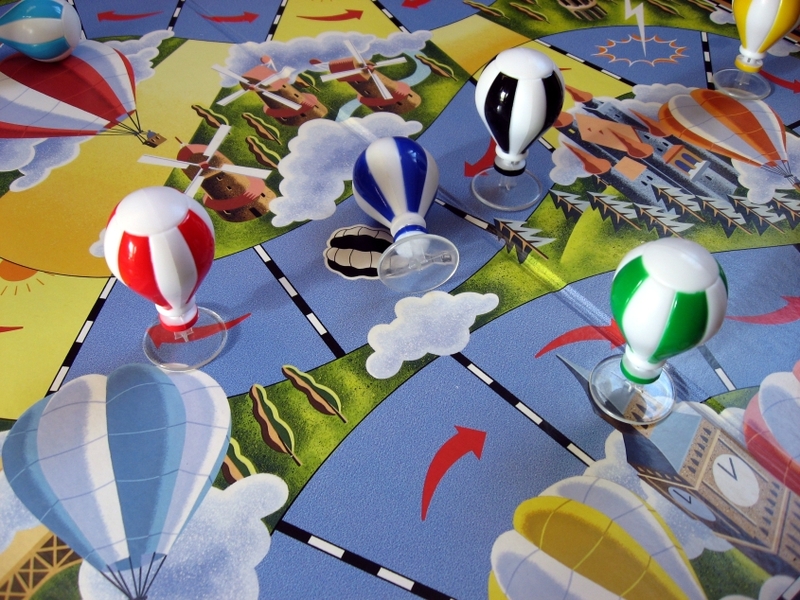 Although we have played it before and it is a very popular game with most club members, we had one player who was unfamiliar with it, so we chose to play it without any of the additional tiles. 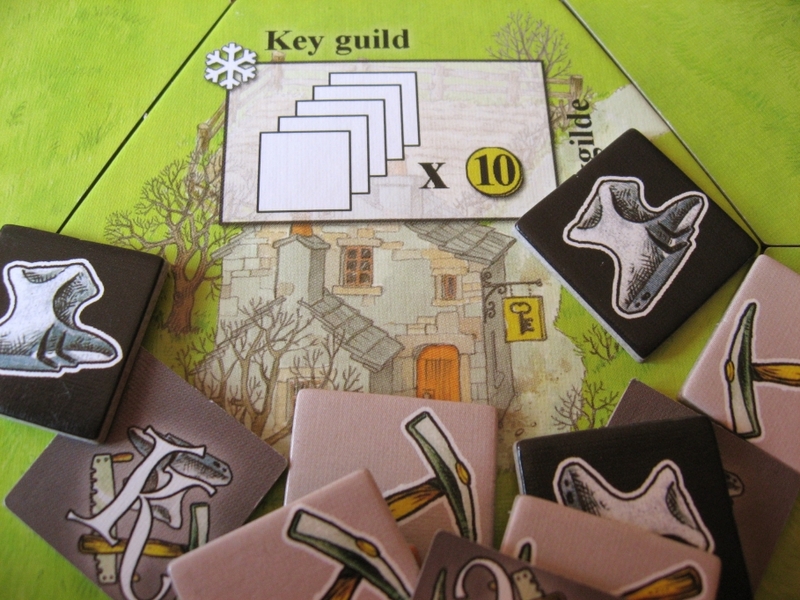 Keyflower is a worker-placement and auction game that is played over four seasons. 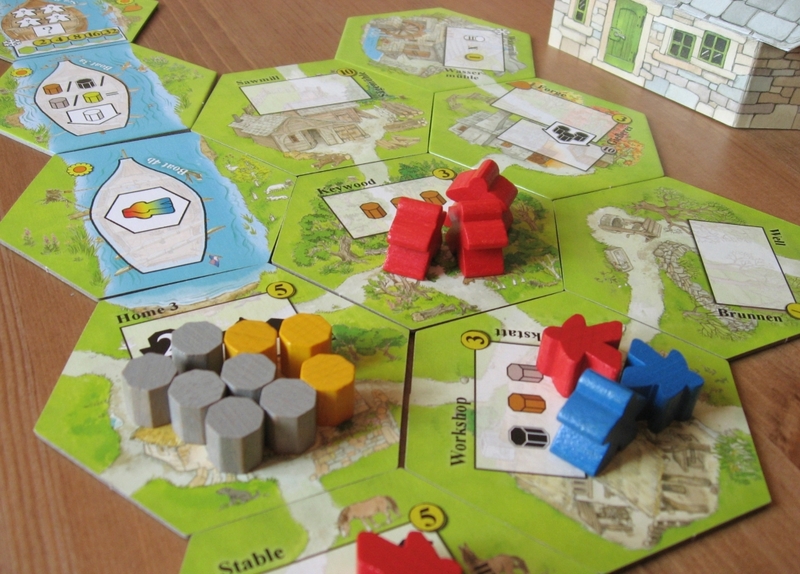 Each player begins the game with a home tile and eight worker meeples (or Keyples as they are known in this game). At the beginning of each round there is a new stack of tiles that players can use and bid for. The really unusual part of the game is the interplay between workers and bidding: workers can operate on any tile, in a players own village, in another players village, or one that is still being auctioned. At the end of the round, the workers go to the owner of the tile, thus, if you have a commodity that other players want, it can be a source of Keyples. On the other hand, if you chose to bid for a tile, presumably you wanted to use it, which means that you have competition for the resource, and so it proved. One player had been present at the drubbing we had received last time we played and tried the same strategy, i.e. to collect skill tiles. Those of us that were aware of this approach started out with no real strategy except to prevent a second run-away victory by the same means. Meanwhile the new player quietly got on with collecting gold and marshalling her Keyples. Mixed based strategies gradually evolved for otherwise indecisive players with resources, the river and transport all featuring and it wasn’t long before we got to the final round, Winter. Surprisingly, there wasn’t much competition for tiles to begin with as everyone concentrated on getting the resources and skill tiles they wanted to the place they needed them. By this time, Keyples were in short supply, so there was only a token amount of scrapping for final tiles in what ended as a very, very closely fought game with first and second just one point apart, a tie for third and fourth, and everyone separated by only six points. The third game of the night was, the race game, Salmon Run. We’ve played this a couple of times before, but still managed to have a couple of new players, so after a quick run through of the rules, off we went with board S1, 5E, 6E, 3M, 2M & F1. White took an early lead, while Red and Black got in each others’ way and battled with bears. Red and White both got sore heads bashing the bank, while Black got a bit stuck with mid-stream and trapped everyone else in the current.White made a dash for the finish, but got caught needing a right and straight to get across the last lot of rapids giving Red and Black a chance to catch up. Red got closest, but White managed to make it across the line first and Red failed to quite make it to the Spawning pool on his last turn. Even if Red and Black had made it home, Red’s nine fatigue cards and Black’s six dwarfed White’s two (thanks to the enforced wait before the last rapids where she had been able to ditch a lot of hers). The last game of the night was an old favourite, Love Letter. 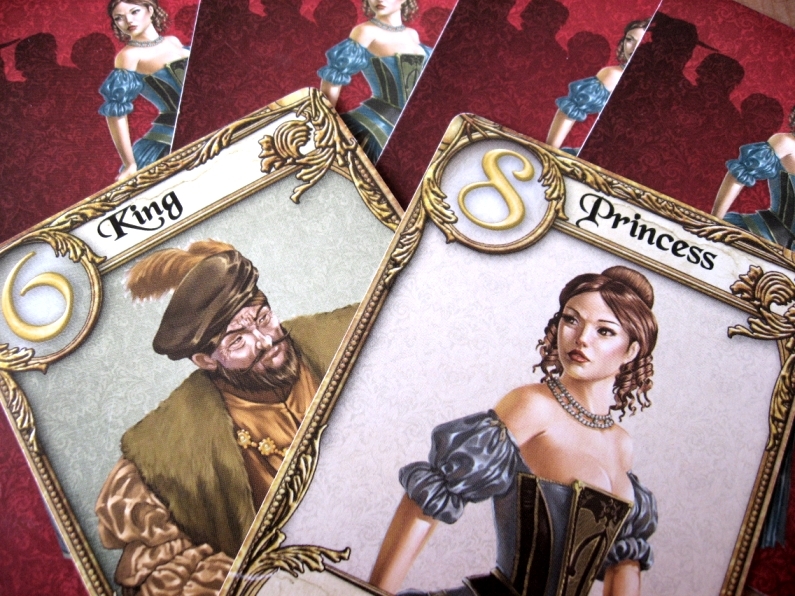 This is a really simple little duelling game played with just sixteen cards. Each round only takes a couple of minutes and each player takes it in turns to draw a card and then play one of the two cards in their hand. Cards allow players to look at another’s hand, force them to discard, give them the opportunity to try to assassinate other players etc. and the last player in, or (in the unusual case that all sixteen cards are drawn), the player with the highest card, wins the round. Remarkably, one player managed a run of three rounds undefeated, and despite a desperate rear-guard action, this proved an unassailable lead. 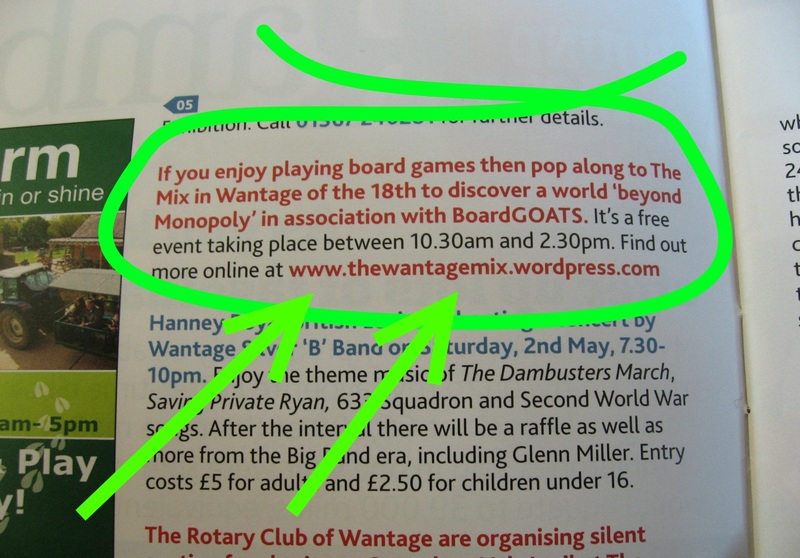 This entry was posted in Games Night and tagged Keyflower, Love Letter, Salmon Run, Toc Toc Woodman on September 4, 2013 by nannyGOAT.